Did the Bears draft better than I think they did? CBS Sports columnist Pete Prisco has given the Chicago Bears a solid "A" in his 2018 Draft Grades. He's not the only one. The internet is abuzz with analysts praising the Bears' draft this year. Bears fans, on the other hand, seem less enthusiastic. 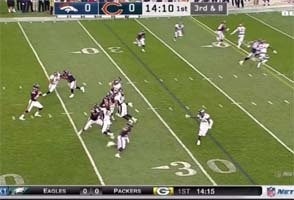 Maybe us jaded fans are just bitter from years of disappointment and bad decision-making at the highest levels of the Bears organization. 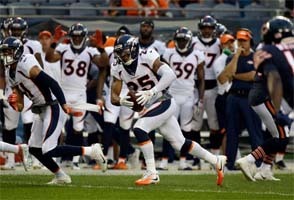 Perhaps the analysts are just impressed that the Bears didn't metaphorically trip over their own feet on the way to the podium the way that they did last year with the dumbfounding decision to trade up one spot to draft Mitch Trubisky (a player that the team ahead of them, the 49ers, wasn't even planning on drafting), instead of taking the elite pass rusher that everyone thought they were trading up to get (and which the 49ers did take with that next pick). Was it the right move? Time will tell. Well the Bears didn't impress anybody by picking up that desperately-needed pass rusher this year either. They had a chance in the second round to take Harold Landry, but instead took center James Daniels. Landry has had some injury issues in his college career, and consistently drafting injury-prone players has been one of Chicago's key failures in recent memory. Maybe Kevin White will finally play a full season this year? I'll settle for half a season. 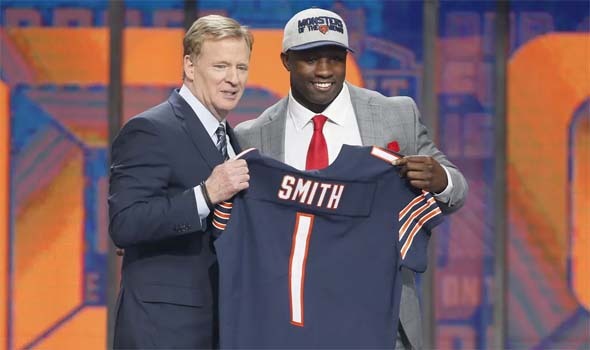 The Bears drafted linebacker Roquan Smith from Georgia Tech 8th overall. If it's not time to start Trubisky now, then when? The Bears' QB is going to be Trubisky's job sooner or later. But when? 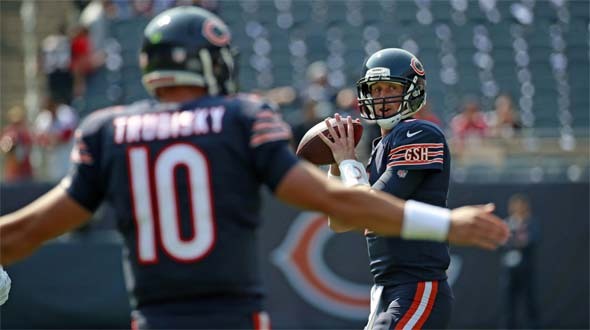 With an 0 and 2 start, people are already talking about benching Mike Glennon in favor of number 2 overall pick Mitch Trubisky. The writer at ESPN dismisses concerns about sparing Trubisky's health and psyche. "You can't seal him up with bubble wrap", says Jeff Dickerson. Apparently, coach John Fox disagrees. I wasn't a fan of signing Glennon, and drafting Trubisky just confused me. But since the Bears drafted him as the obvious QB of the future, I want to see Trubisky play. More importantly, though, I want him to succeed.